“The best automotive event ever”. “3 days of music, camping, racing, drifting, car shows & more! 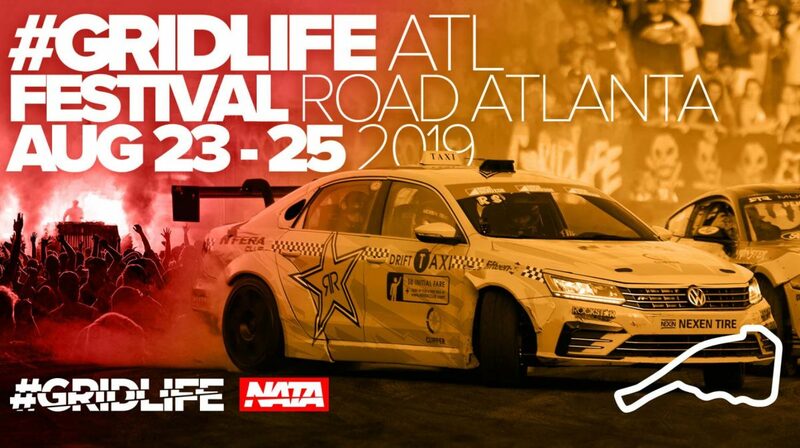 #GRIDLIFE Music & Motorsports festival returns to the world class facility of Road Atlanta. With a new multi genre music lineup, more pro drivers, cool interactive features, and more on track excitement than ever before. On track action includes round 4 of the #GRIDLIFE Track Battle Time Attack and HPDE along with Drifting on the big course. Off track the #GRIDLIFE Showcase & Meet will feature the best builds from around the country, multiple interactive experiences, and a massive vendor village. We hope to see you out there!